Simchat Torah is a beloved annual event, as we celebrate the never-ending cycle of learning and reading from the Five Books of Moses. 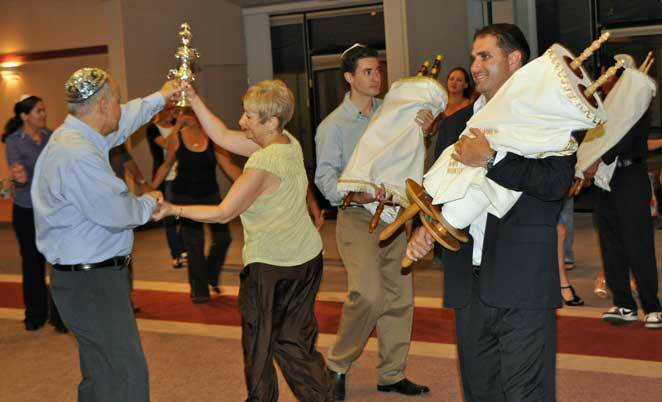 With the wall removed between our sanctuary and Meister Hall, dancing with the torahs is flowing, fun and fast! Our sanctuary is filled with people of all ages who come to share their love for the central role of Torah in their lives, and the life of the Jewish people. A highlight to Simchat Torah is the unrolling of the Torah around the entire sanctuary, as all present help support the sacred scroll. 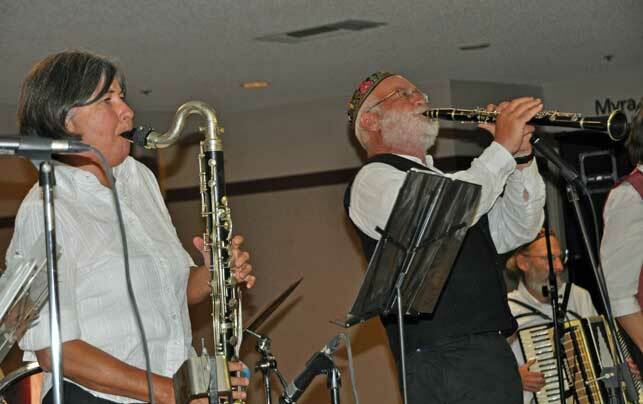 TBT is proud to host a Jewish community-wide celebration, in conjunction with congregations Ner Ami, Am HaYam and the Jewish community of Ojai, and sponsored as well by the Jewish Federation.